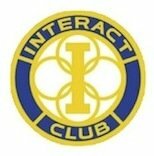 The Conifer Interact Club is a youth Rotary organization. Our mission is to provide local and international service that benefits all concerned. Based out of the high school, our club currently consists of sophomores striving to better our community and the world. In the past, we've helped the Intermountain Humane Society, the Children's Hospital, an orphanage near Nairobi, and Heifer International. Our nonprofit is always working in a fun and creative process to provide interesting and effective fundraisers. The 1st Annual Conifer "Run the Ranch" 5k, located at Beaver Ranch, is held by the Conifer Interact Club to support the club's Nepal service trip fund. The 5th Annual Conifer "Run the Ranch" 5k, located at Beaver Ranch, is held by the Conifer Interact Club to support the club's Africa service trip fund.